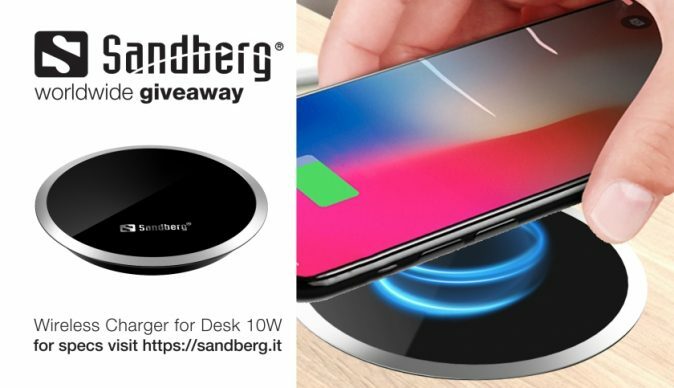 Sandberg want s to gift one of their fans with a brand new desk wireless charger! To enter in this Wireless Charger for Desk Giveawaygrab your free entries by following few simple steps listed down below! Sandberg Wireless Charger for Desk is a clever mobile charger made for integrating into the surface of your desk. We include a hole cutter (for wood) that can be fitted to a standard power drill. Within a few seconds, you can cut a hole in your desktop perfect for the charger. That means you can simply lie your phone on top for charging. The charger connects to a USB power source. Supports QI-compatible smartphones. Bonus entries: Share your referral link with friends to get an additional 10 entries for each person who enters through the link.